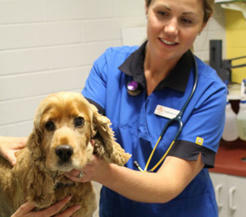 The Animal Medical Centre in Charles Street is the largest and best equipped veterinary clinic in Launceston. By choosing us to care for your pet you will have a personal, professional and caring service at all times. Our aim is to treat every pet as if it was our own and to provide the best care and treatment possible. Our hospital is open 7 days a week every day of the year. After hour emergencies are dealt by our own vets and nurses. If your pet needs attention then our on call team is here to help you. 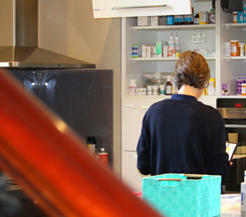 Our clinic is open 7 days a week including public holidays. Concentrating on dogs big and small, the main building closest to Charles Street is our dog clinic. 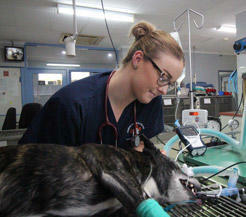 Open 7 days a week and on public holidays, the vets and nurses working at the dog clinic care for many dogs every day. The skills and experience of our veterinary team combined with the high level of equipment mean that you can be confident that your dog will have the very best care when visiting our dog clinic. The beautiful two storey building at the back of our carpark is where we see cats and pocket pets (rabbits, guinea pigs, mice, ferrets and birds). 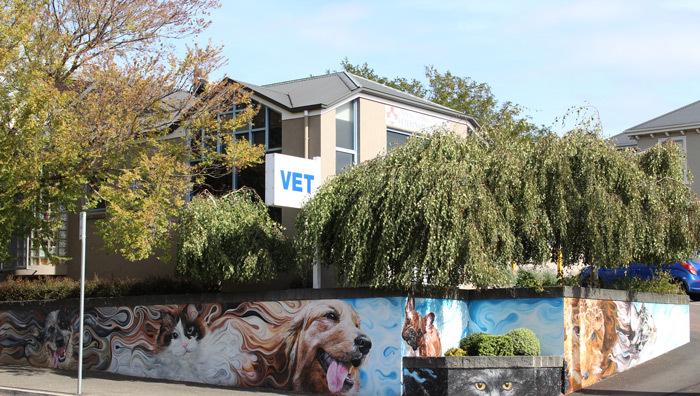 The Animal Medical Centre is one of only 10 veterinary clinics in Australia which have a “cat only” building. By having our feline patients away from the noise and smells of dogs, we have found that visiting the vet is much less stressful for both cats and their owners. Friendly and professional, quick assessment of the situation and immediate action. Took great care of Tink and even post procedure care-- better than at a recent stay at a people hospital. The receptionist was very warm and welcoming. When we went to the room, the vet was extremely kind and understanding. She explained everything, in terms i understood. I could go on and on about how great the staff is, but I suggest you see for yourself. I will not take my animals to any other vet they ( meaning my dogs, cats, birds and my other small animals) only get the best of care and Animal Medical Centre is the place that provides that. I drive 1hr+ pass 3 vet clinics just to get there. They have now saved 3 of my dogs- 1 dog twice from snake bites. I love this place and recommend it to everyone. Fantastic veterinary clinic. All of our pets throughout my life so far have been looked after by your amazing staff through the good and sad times of pet ownership. Amazing veterinary service. All staff are lovely everytime we visit. My family visits doctor Michelle every time and she is absolutely amazing. So kind hearted and makes visiting a relaxed and stress free time. 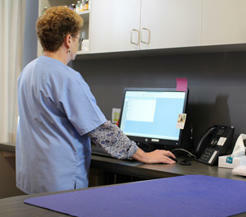 We will definitely be recommending the Animal Medical Centre to friends and family. The staff are absolutely wonderful - very friendly and compassionate and always greet you with a smile. After just recently moving to the Launceston area we hadn’t been to vet and had no idea where to go - especially for an emergency! There was no trouble getting in and they certainly made us feel welcomed! We are positive we have made the best choice! Always caring, always thoughtful, always there... have gone above and beyond a few times for us and have, on each occasion been truly compassionate and professional. The best veterinary practice in Launceston. Triage, bed side manor, treatment and after care & concern by ALL STAFF is 5 star. You get what you pay for like anything else but when it involves a member of the family, only the best will do. I would just like to say a massive thank you to the staff! After being told from elsewhere that our dog was quite sick and wouldn't have long to live and we were getting close to having to say goodbye, we decided to get a second opinion from these guys and we're so glad that we did! It turns out that it wasn't what we had been told was wrong with him and now he's back to his normal happy self!! I can't thank them enough!! Our little cavoodle got hit by a car and within 10min of calling, the on call afterhours vet was there to help us out. Our little man received the best care we could have imagined and we were kept up-to-date with his progress and extent of his injuries. Typical clinical signs of FLUTD are straining to urinate and passing small amounts of urine frequently with blood. Any dog can be affected but some breeds are more susceptible. Examples of these are golden retrievers, German shepherds, Bernese mountain dogs and the labrador. If you decide to allow your dog to breed you should be aware of all aspects of the process as well as the potential problems.